Civil defence spokesman Nayef al-Sharif said no casualties were reported in the fire, which was sparked by a faulty air conditioning unit on the eighth floor of a hotel in the Azaziyah district of Mecca. Riyadh, Saudi Arabia: A hotel in the Saudi Arabian city of Mecca, where two million Muslims will perform the annual hajj pilgrimage, was evacuated Monday after a fire broke out, the civil defence service said. All 600 residents, most of whom had come from Turkey and Yemen for the hajj pilgrimage, were evacuated and have since returned to the hotel, Sharif said. 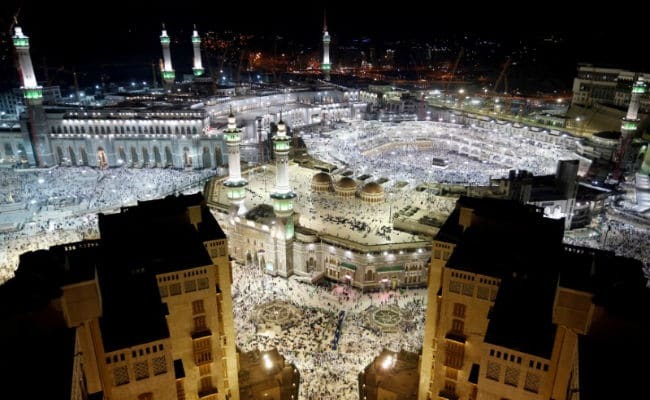 The hajj draws Muslims from around the world to the western Saudi Arabian city of Mecca, birthplace of the Prophet Mohammed and the most revered site in Islam.